We hope you enjoyed your physical therapy treatment at Sports and Orthopaedic Therapy Services, and that you continue to be able to do all the functional aspects of your life that you came here to reestablish. I am pretty sure that you go to see your dentist for preventive care on a yearly or bi-yearly basis, and that you might go to see your primary care doctor for a yearly physical. We would like you to consider your physical health to be part of your preventative maintenance program. 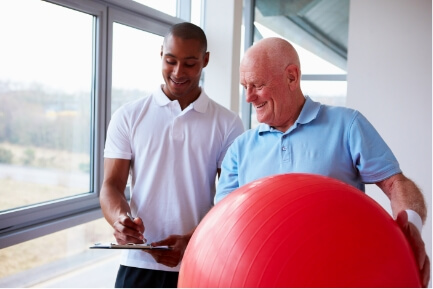 The areas of assessment for physical health include your ability to function, normal strength, normal mobility, normal motor control/stability, and be pain free during your activities of daily living. We are offering you the opportunity to be evaluated by one of our physical therapists using the Selective Functional Movement Assessment. The goal of this Yearly Movement Assessment Physical (not your medical physical) is to be proactive in decreasing any physical impairments you might have and not be aware of. The rationale for performing a Yearly Movement Assessment Physical is that over time dysfunctions and compensations for these dysfunctions may crop up later as painful conditions somewhere else in the body. We think that your physical health is just as important as you’re medical and dental health. After your evaluation, the therapist will suggest a treatment plan which will include corrective exercises for the identified dysfunctions. Our normal evaluation price is $150, but since you have been a patient of ours we are going to reduce this yearly physical to $100. I am sure you will benefit from keeping your potential dysfunctions to a minimum, and under control by performing the corrective exercises you will be given. If you do not wish to avail yourself of this very important program, then I would ask you to consider helping your friends and family out by suggesting our services to them for their physical therapy needs. As you know we are located close to the ICC exit onto Route 29 in Silver Spring, and have extensive hours to take care of anyone essentially from 8 AM until 8 or 9 PM all days of the week except for Friday. Thank you for your consideration, – call our office to set up your physical assessment and just mention that you are going to be having “YOUR YEARLY PHYSICAL”.